Clinical trials have long been viewed as complicated and high-volume endeavors, involving the widespread recruitment of patients, supply chain planning with external partners like clinical research organizations (CROs), and heavy distribution of drugs for testing. In short, to prove a drug’s efficacy and gain approval from the FDA, life sciences organizations are required to demonstrate performance and safety of a compound within an appropriately large population over time. 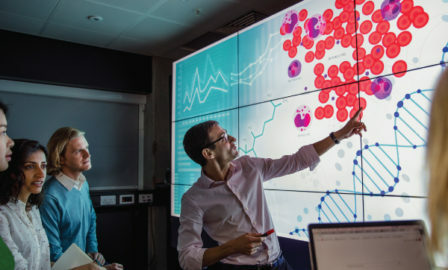 On a fundamental level, success for a clinical trial is contingent on the capture and documentation of high-quality data, however, modern R&D organizations are now being challenged additionally to balance this quantitative mentality with a rapidly increasing expectation of patient centricity. 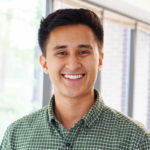 According to Lan Bui, VP of Clinical Supply Chain at Takeda, there is pressure for the pharmaceutical and biotech industries to become more adaptable, especially with respect to R&D. This impetus for adaptability is not an upcoming trend — it is imminent — as life sciences organizations are now strategically and aggressively pursuing areas like individualized medicine. It is not shocking that investment into cell therapy (i.e., mergers and acquisitions) is expected to increase by 33% over the next 5 years. In addition, we can see how drug makers are now focusing on building the necessary infrastructure to operationalize the science behind cell therapy. Thus, the challenge for life sciences executives is to creatively transform areas of R&D to better facilitate the delivery and scaling of individualized treatments to patients that are interspersed geographically. Where and how patient data is collected will be key indicators for driving success. So far, telemedicine, mobile health, and wearables have been incorporated into healthcare delivery, but such solutions have yet to be integrated fully into clinical trials. As technology continues to advance, R&D leaders are now exploring decentralized clinical trials (DCTs), direct-to-patient, or remote models, where patient data is completely or partially collected in the home or natural environment on a more holistic ongoing basis. According to an article from Applied Clinical Trials, CROs and sponsors have already begun to explore several strategies for decentralization, including “using shippers with extended stability for storage in patients’ homes, tamper-evident tape to indicate unauthorized access, temperature data loggers to track and report product storage, and dosing diaries to identify when the study drug was administered.” However, achieving decentralization is notably different in theory than it is in practice. Even with such strategies in place, assuring quality and adherence to regulations remains challenging and resource-consuming. Further, while incorporating new technology can automate and expedite R&D processes, it can also introduce unforeseen issues. For example, inconsistent temperature monitoring can raise false positives and unnecessary alerts, which may stall patient care, waste drugs, and increase overall costs. Confirming ongoing patient adherence and consistent data capture continue to be obstacles as well. 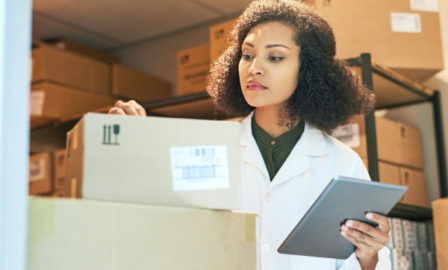 It’s not difficult for one to conclude that an increase in individualized shipping locations and consequently disparate data streams can introduce an elevated degree of complexity and risk to clinical trials. The image below demonstrates how the shift from traditional to decentralized and hybrid trials will only place more pressure on study sponsors and partners like CROs, who frequently rely on collaboration and communication to improve clinical supply chain planning. What is to be done about patients who live outside of traditional shipment radii? Enhancing traceability and ensuring compliance across clinical trials is an area where blockchain solutions are gaining steam. The term blockchain has been heavily used across industries, with blockchain and digital ledger-based technology being touted as the silver bullet for the general decentralization of business processes. However, to avoid confusion, this article focuses on blockchain applications for healthcare with particular emphasis on clinical trials. For one, blockchain addresses the problem of where patient data can be collected. Sharing patient data between investigational sites is a precarious process — especially if a patient must interact with multiple specialists or consult various private practices. Compounding this issue is the fact there are dozens of electronic health record (EHR) systems that manage patient data, yet they often cannot speak to each other, causing trial information to bottleneck. 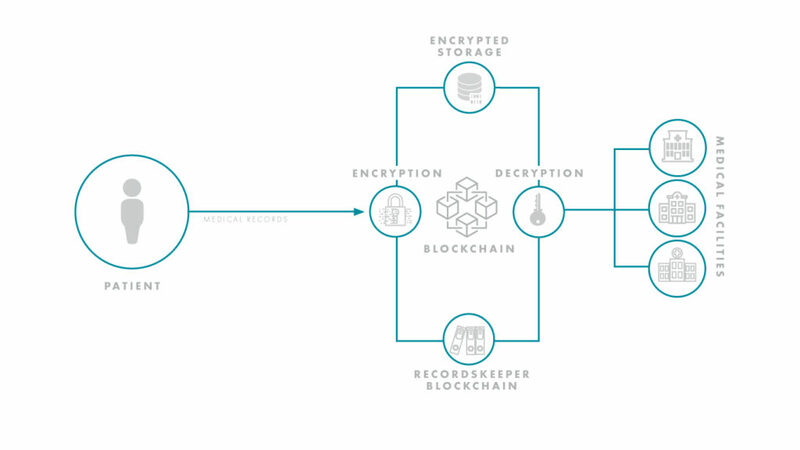 Using the blockchain, a decentralized system centered on the patient instead of a single electronic health record, could hypothetically uncork the bottleneck and streamline the flow of information. Reporting and transparency have been hurdles for R&D organizations. As of 2017, Forbes estimated that up to 50 percent of clinical trials went unreported, and up to 90 percent of trials on ClinicalTrials.gov had no results. With blockchain, however, results would be protected by the ledger-based nature of the technology, and only the requisite doctors and healthcare professionals could be granted access to sensitive trial information. As trials become more decentralized and stretch to global levels, ensuring this type of collaboration and transparency will be essential to success. Life sciences and tech giants, alike, are already seeing the massive potential of this space and have initiated high profile blockchain-based partnerships. For life sciences organizations seeking to develop a decentralized clinical trials strategy, one of the first questions to ask is: where are the entry points for patient data collection? Over the past five years, digital health has become widely adopted by mainstream consumers. 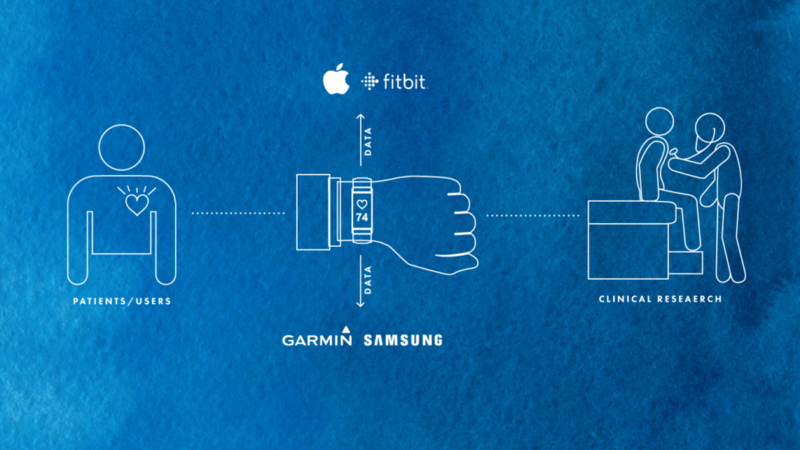 It is easier than ever for patients to collect their own health data and draw insights from wearable devices like FitBits and Apple Watches. Tech giants like Amazon, Apple, and Google have been preparing for years to encroach into the healthcare space, and they are doing so through patient data touchpoints. Amazon is clearly expanding its pharmacy business through its notable acquisition of PillPack. Meanwhile, the FDA clearance of Apple’s ECG-enabled Apple Watch Series 4 sent shockwaves through the industry, with many acknowledging the inevitability of increased investment into this space. Recently, Google has also made immense strides in the realm of healthcare clinical trials, especially through its own high-profile study, Project Baseline. This trend of tech companies moving into healthcare is disruptive to prior models and approaches of clinical study. Looking towards the future of data-powered healthcare, the key players will be organizations who control entry-points of data acquisition funnels – the organizations that have the data and can leverage it properly through analytics. Pharma and biotech leaders need to be aware of the evolution of this space, how ripples could affect them, and where their organizations stand in not only adapting, but thriving in the new reality. How will pharma and biotech organizations maneuver this changing environment? Can investigators tap into the digital networks created by tech giants? Can they build their own patient enrollment and retention networks? What if clinical trials become more of a holistic “service” focused on the patient? Will research organizations partner with tech companies to pioneer new ways of conducting trials and bringing drugs to patients? Pharma and biotech organizations must be proactive in understanding the shifting digital landscape that enables the decentralized clinical trials. 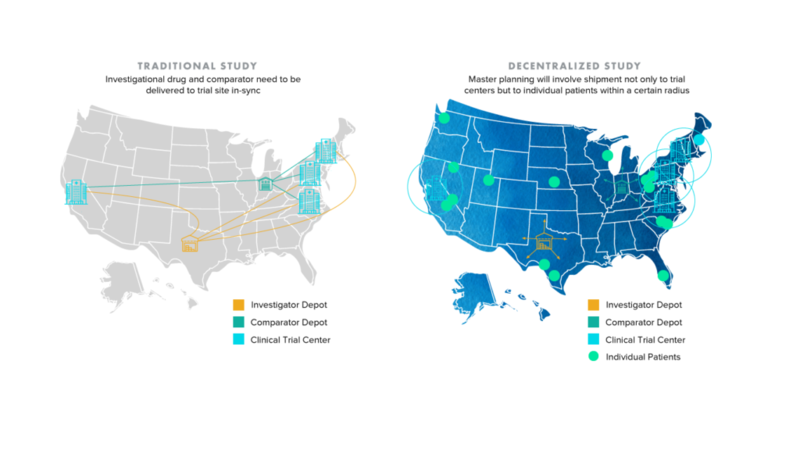 As mentioned previously, at its core, decentralization of clinical trials can generate immense benefits such as increased patient-centricity, resource management efficiency, and more robust and accurate clinical study results. Discussions about how to become decentralized or design hybrid protocols are occurring on an ongoing basis as organizations seek to develop new strategies that will create competitive advantages. The key for life sciences companies is to first map out the key areas and elements of decentralization that can affect their core businesses and R&D and then create a portfolio of potential solutions. While there is pressure to innovate in this space, those responsible for managing clinical trials must also retain a firm grasp on the quality and compliance aspects of their studies, as scaling to decentralization without a firm underlying framework can introduce risks. For life sciences organizations and tech companies to thrive and collaborate, there needs to be direct matchmaking and assurance of translation between hybrid study pain points and value added from new technology. What is the optimal way to plan for decentralization in an increasingly digital healthcare landscape? Does your organization have an approach to articulating pain-points and translating information properly to develop adequate tech solutions? How can life sciences leaders map operations and processes to incorporate new hybrid approaches? 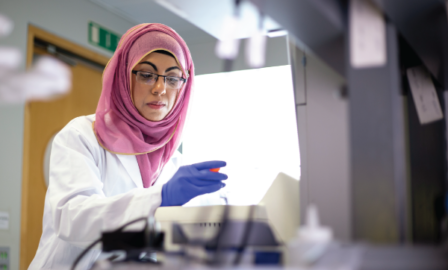 At Clarkston, we have a passion for helping pharma and biotech companies grow and develop new strategies. If you are interested in learning more about decentralization and other trends that are currently shaping R&D and clinical trials, feel free to reach out.